Sorry for the silence. Sandy took out my power, so haven’t had much internet access. I hope everyone in the NYC area made it through the storm ok.
Now for some design goodness. To Have And To Hold is an awesome Tumblr that features a collection of paper bags from the 70’s and 80’s. The collection is part of the Preston Polytechnic ephemera archive and is housed in their Library. Pretty cool. Build just did up a new set of stationery for themselves and it’s absolutely stunning. Foil-blocked metallic Green and gloss Black (including Black foil on the inside of the envelopes) on Colorplan White Frost. 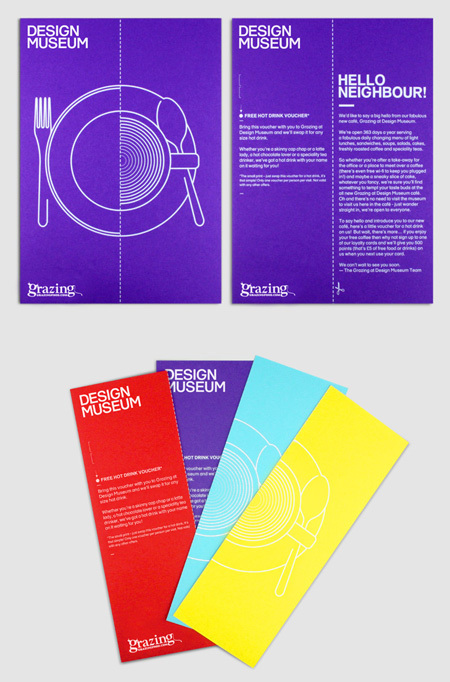 Love this flyer design by Mash Creative to promote Design Museum’s new cafe Grazing. The flyers can be cut along the center line and one side can be redeemed for a free hot drink voucher. They’re digitally printed in white ink on 350gsm GFSmith Colorplan Bright Red, Purple, turquoise and Factory Yellow. A lovely directory designed by Marc&Anna for the London Design Festival’s Tent London show. The typeface used is F37 Bella by Rick Banks. I also love the use of the pink/salmon paper. Stunning. This is a series of paper cutouts by Australian designer, Bianca Chang. The 3-dimensional letterforms are created with multiple sheets of 80gsm paper. These much be really amazing in person. The form must change depending on the angle of view. 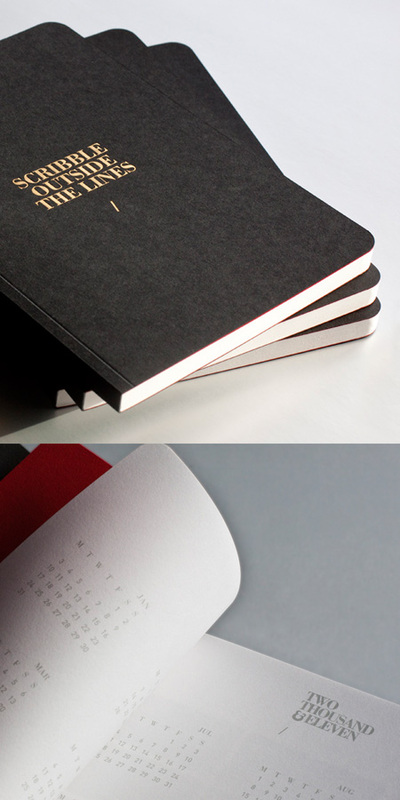 Uk agency Hugo & Cat initially designed and produced the BLK Book as a Christmas gift for their clients. I’m lucky enough to have an early copy and it’s a superbly crafted book that just makes you want to crack it open and take a big whiff of the glue, ink and paper. It’s pieces like this that make me love the printed medium. The book is hand finished in heavy ebony Colorplan paper, printed with gold and white foil by Generation Press. The BLK Book will soon be available for purchase.